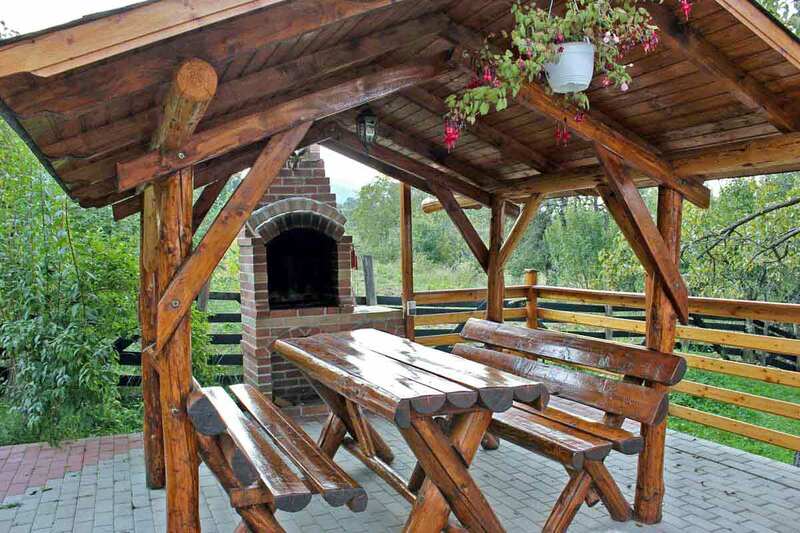 Casa Zollo Holiday chalet in Transylvania near Sibiu with a panoramic view of the valley and the wooded mountains. 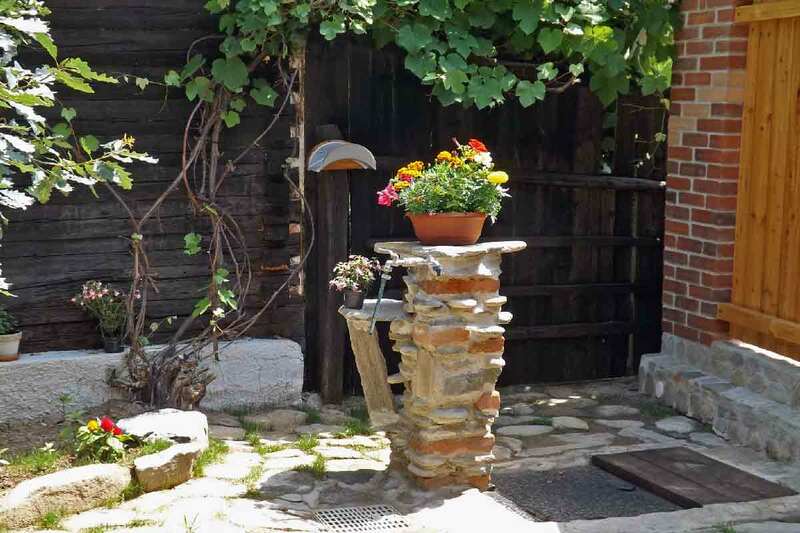 Located in a peaceful spot on the edge of the shepherds' village of Vale, where the only through traffic consists of one or two horse carts bringing in the hay from the nearby hills. 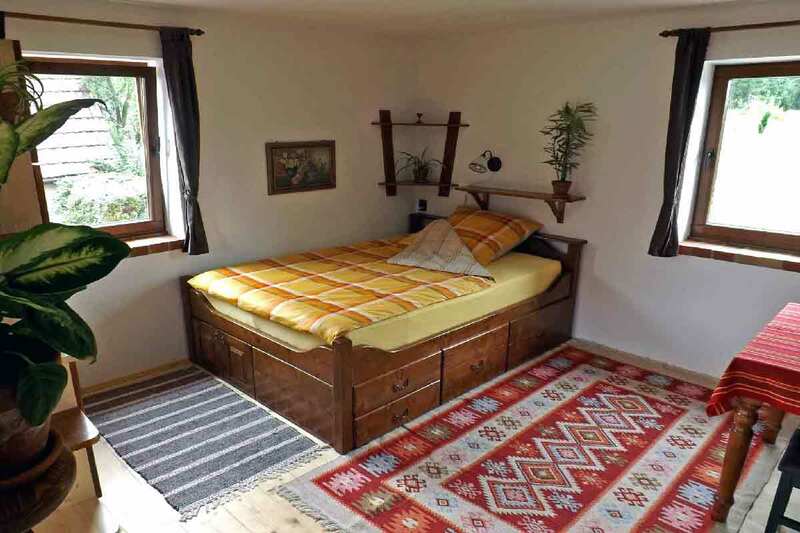 You may expect spotless cleanliness in sprawling bright rooms, the comfortable indoor climate of a rear-ventilated larch panelling, and the serenity of the Romanian countryside. 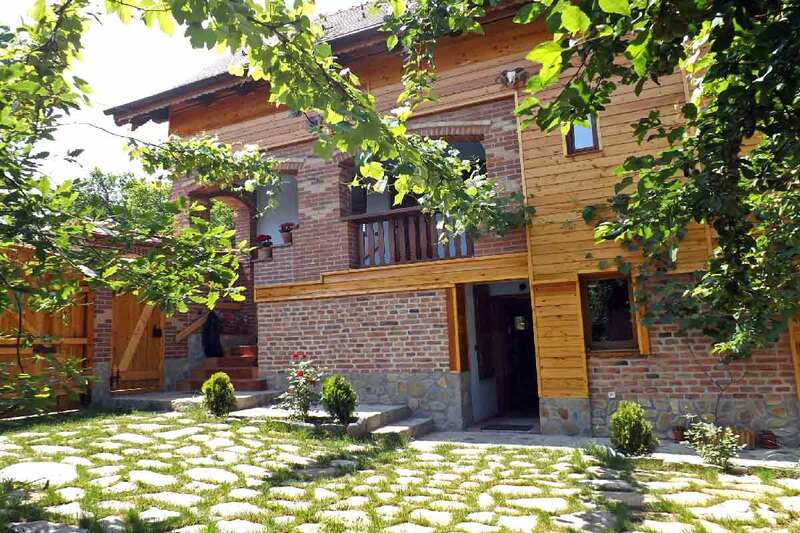 A perfect cottage for your family vacations in the heart of Transylvania. 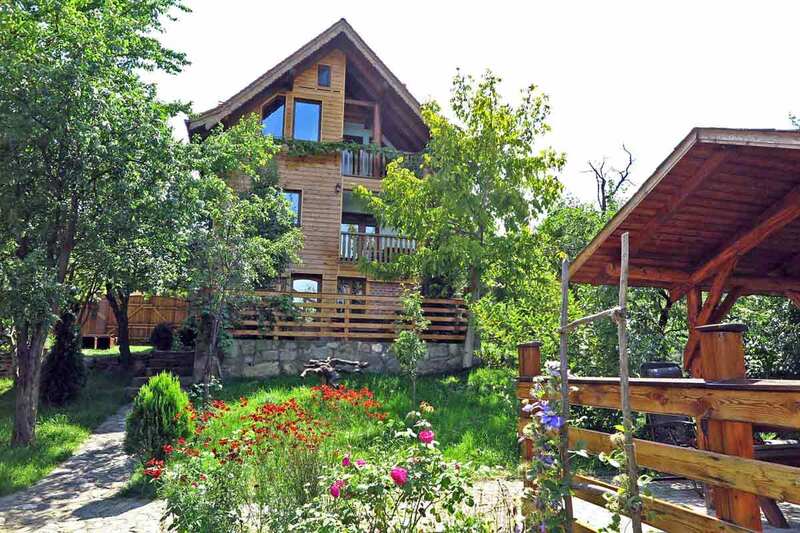 The holiday chalet provides 5.000 sqm garden and 152 sqm of living space on two floors for 6 (up to 8) people. 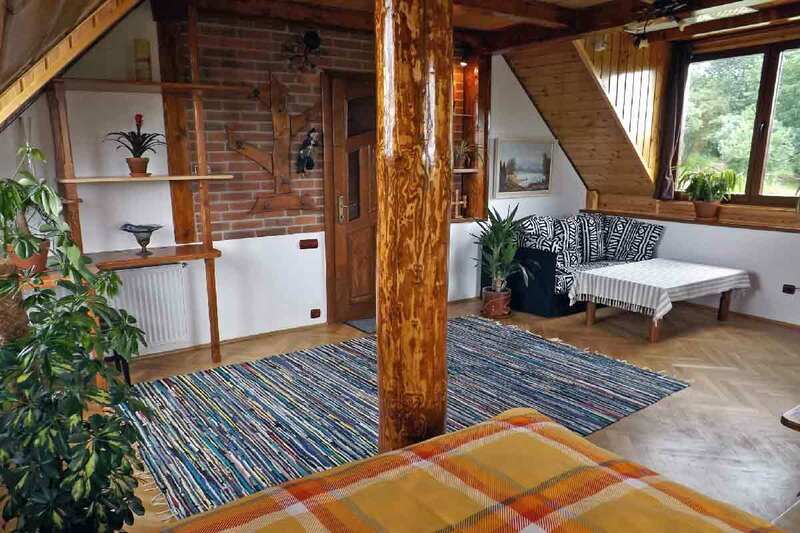 The living room (34 sqm) is on the mezzanine floor. 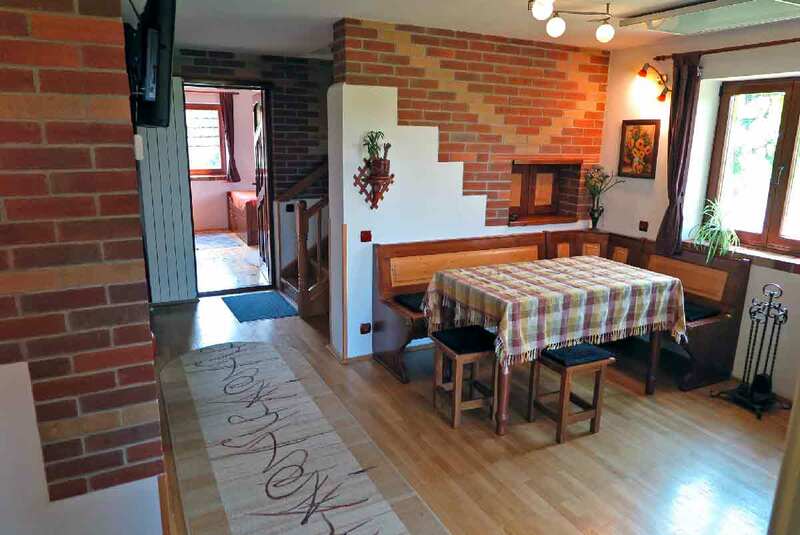 It features oak parquet and includes an open kitchen, a fireplace, LED TV (Astra Satellite), and ten seats at two tables. 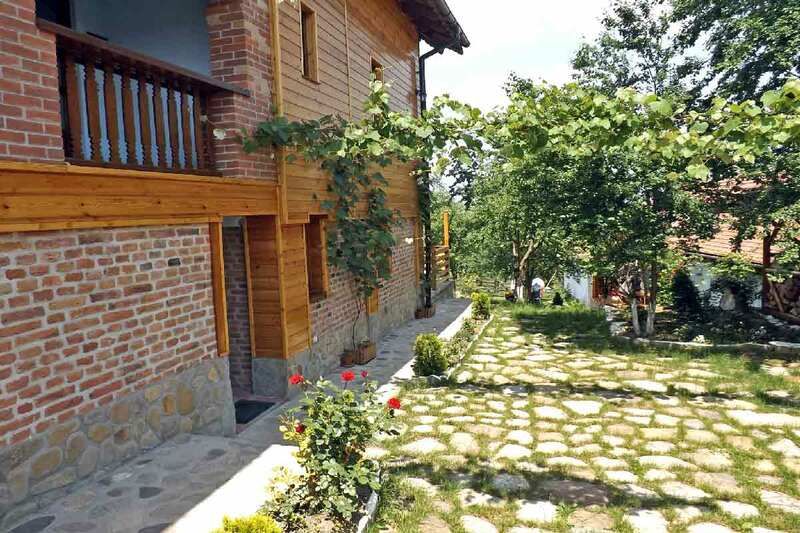 From the adjoining balcony you enjoy the view into the valley or follow the sun as it goes down right between the crests of two forested mountains. 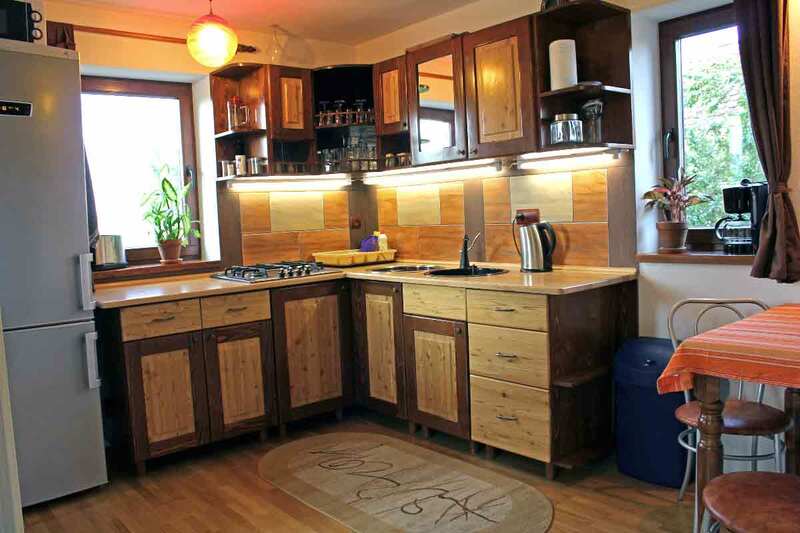 The open kitchen is fully equipped for self-catering with a large fridge combo, gas stove, coffee maker and espresso machine, toaster, kettle, spices, and more. The first room (17 sqm), with windows opening to the east, south, and west is accessible from both the living room and the outer hallway. 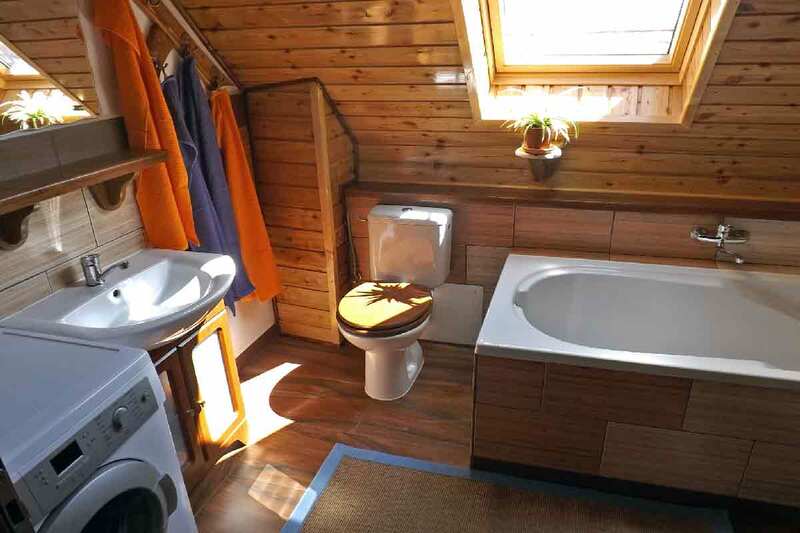 The first bathroom (3 sqm) adjoins the living room. 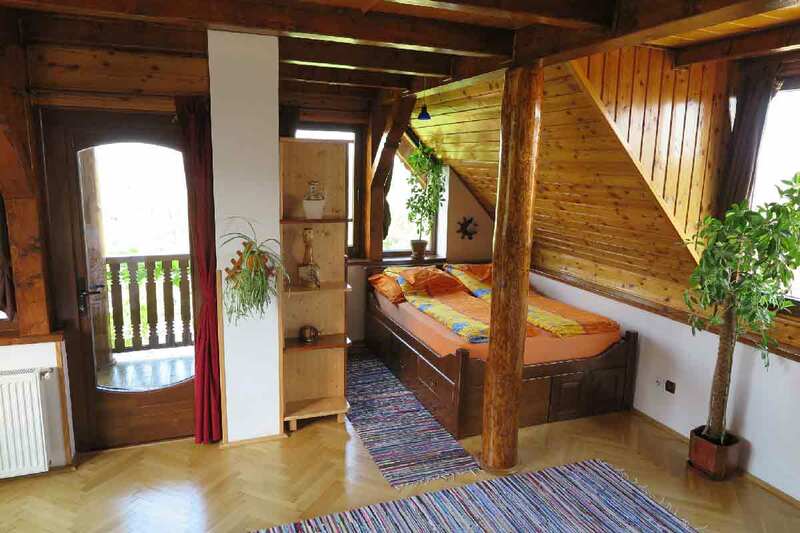 An interior staircase leads to the two bright rooms in the attic, the larger one with an oak floor and a balcony. With their 24 and 32 sqm they can easily be used as a lounge for a larger group. 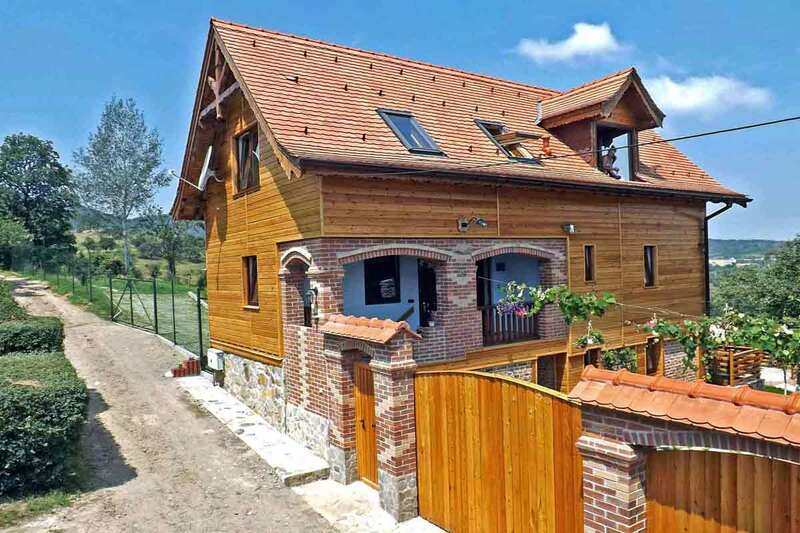 Dormers and windows open in three directions and allow the sun to spread its light across the rooms at any time of day. 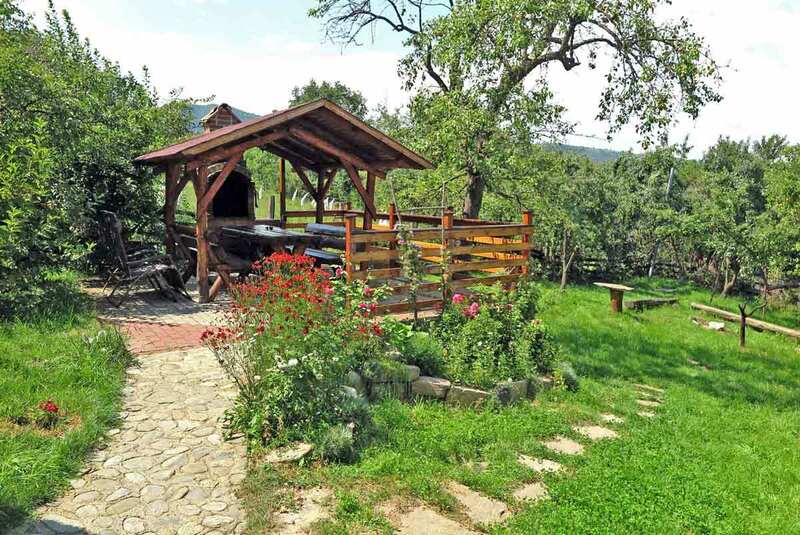 The view is impressive: it goes out over the vastness of the valley, to the forested mountains and in good weather, all the way up to the snowy peaks of the Fagaras Mountains. The second bathroom (8 sqm) with a shower, tub, toilet, washing machine, and a house pharmacy branches off from the hallway between the rooms. Each room features a double bed, TV, Wi-Fi internet access, infrared panel, and plants. In the largest room, a sofa bed for up to two additional people is available. On arrival you will find the beds freshly made - towels, soap and shower gel are provided. The entire interior was chosen with care, including kitchen and sanitation facilities, mattresses, and linen. All furniture, windows, doors and stairs where consistently made to measure, and the rear-ventilated larch panelling provides a healthy indoor climate throughout all seasons. The solar-assisted central heating is backed up threefold. 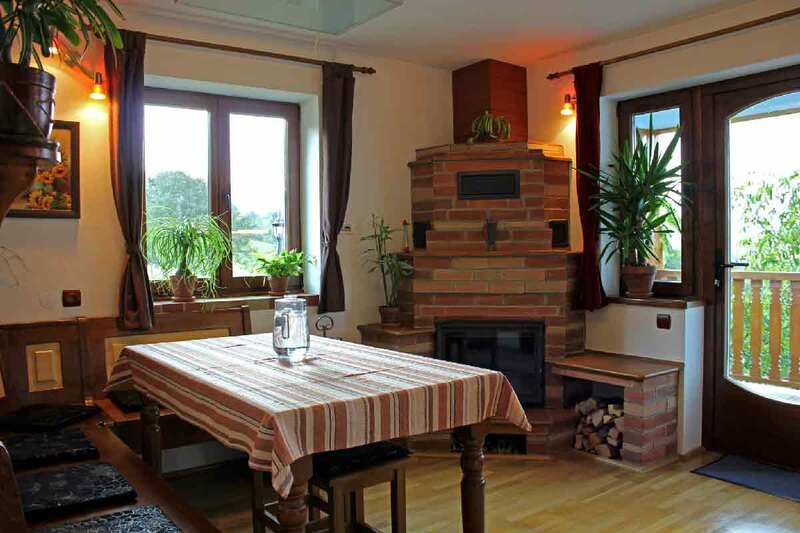 Either you fire up the water-bearing fireplace in the living room, which supplies all the radiators in the house, or an automatic control takes over the job and starts a gas heater and / or the electrical infrared panels at no additional costs for you. See our accommodation prices and terms. 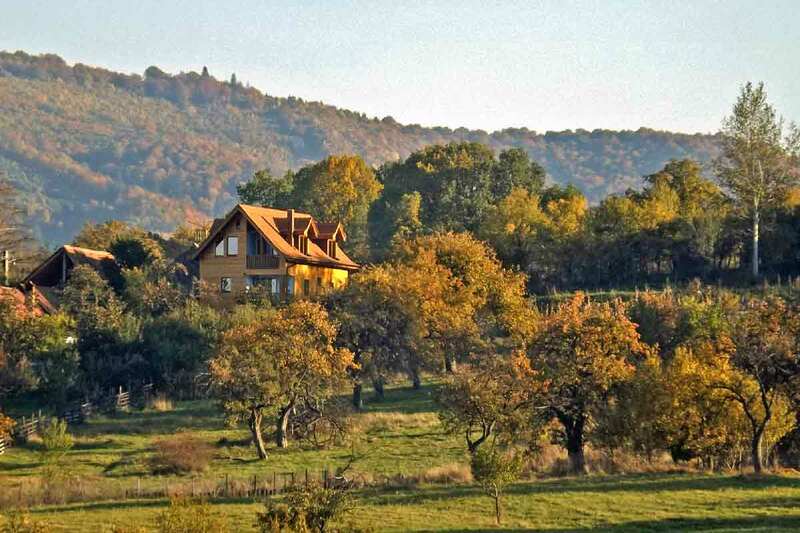 Check the availability before booking this holiday chalet. 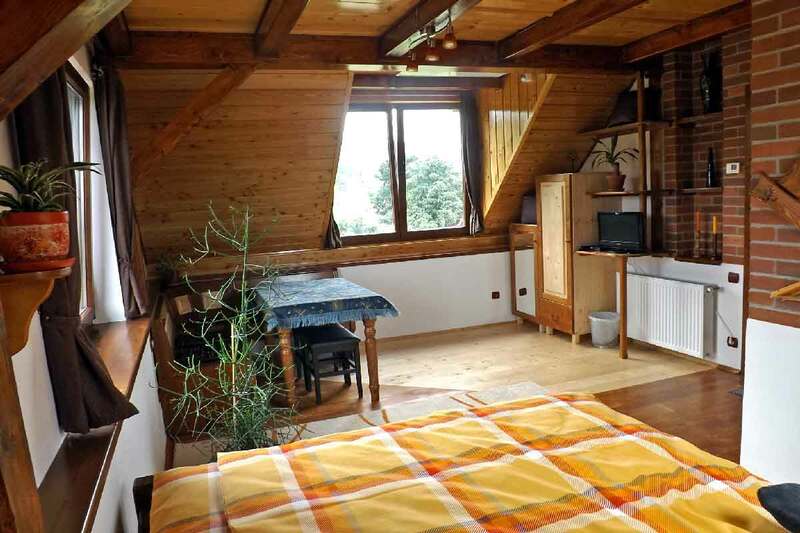 We rent out this holiday chalet separately or in combination with the apartment Casa Zollo II on the ground floor. 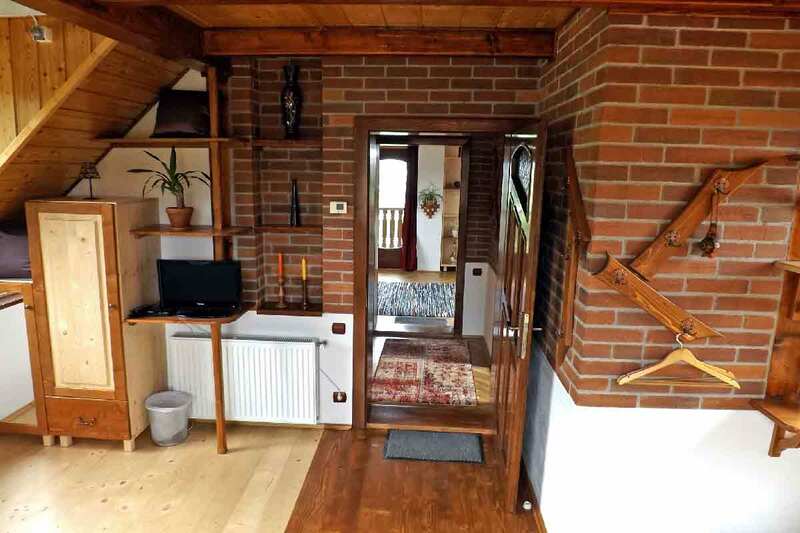 It features a private entry, its own terrace, kitchen, and bathroom. - preferably in full screen via the link in the top right corner.